A small but pretty open space which runs adjacent to the River Great Ouse, separated by a hard surfaced path. The path provides an interesting riverside walk that links to the town centre. The site is overlooked by adjacent housing on one side. 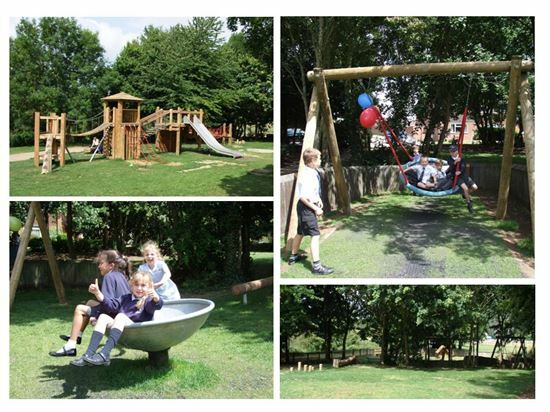 A play space with natural features and landscaped areas providing a good range of play experiences designed for ages 2-14. Good pedestrian access to the play space via the Riverside Walk and Windmills Oak. Limited roadside parking is available off of Wittmills.